Candy cart hire Nottingham, Derby and the East Midlands. 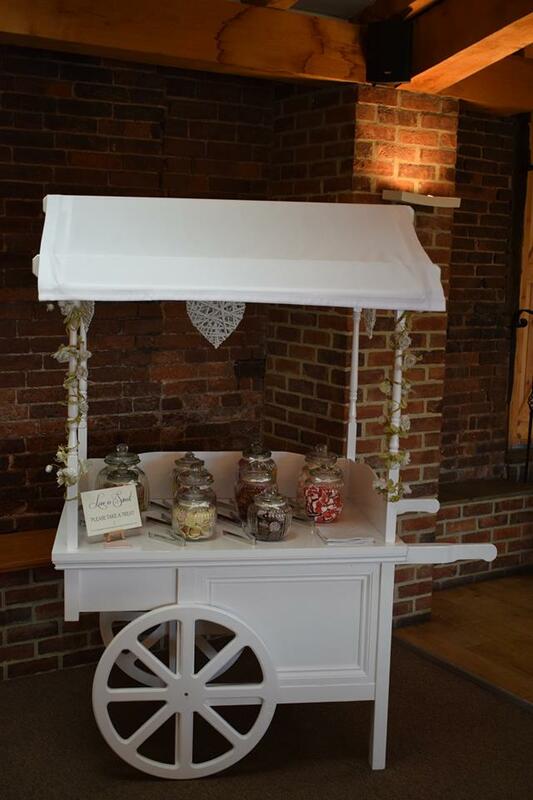 Our sweet cart hire in Nottingham is perfect for weddings and events! We are experts in providing stunning candy cart hire throughout Nottingham and the East Midlands. Our candy cart is perfect for bringing fun to any occasion. Whether it is a wedding, birthday, engagement party, christening, or children’s party, our candy cart offers a beautiful display of sweets. The cart can be dressed to suit your chosen colour scheme and style, giving it extra wow factor. 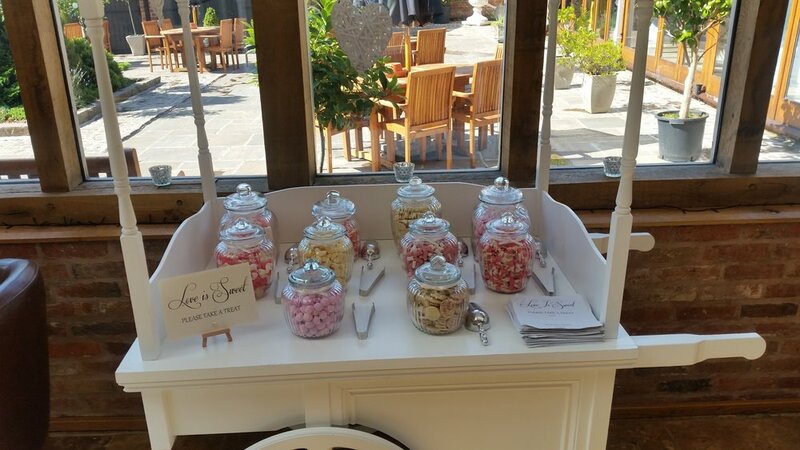 Our candy cart packages range for 50 to 250 guests and include a variety of 8-10 different sweets of your choice. The cart also includes glassware, scoops, tongs, and sweet bags in your choice of colour. We also have a cheaper DIY option available where you can hire the cart on its own and provide your own sweets if preferred. Once the event has finished any remaining sweets are yours to keep! We have received a superb 5* food hygiene rating for our excellent food hygiene and preparation skills.